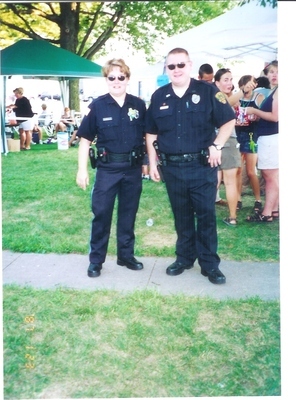 These pictures are from around 2002…I was a police reserve for Prairie City Police Department which is a smaller town in the sw part of our county. This is Rod Eilander – Rod is a jailer with the county and one of my best friends…those of you over on Facebook will recognize Rod as my forked tongue friend …but actually we really like each other. GHOG…yes..they carry guns and handcuffs, etc…they can arrest..I think the only thing they can’t do is the implied consent for a drunk driving arrest..that has to be a certified police officer. Reserve in Iowa now have to take training and certify with the Iowa Law Enforcement Academy but they have the same police powers as a “real” cop. Reserves are utilized for traffic enforcement and security at school functions as well as the “second” officer in squad cars although a certified reserve can and do patrol. 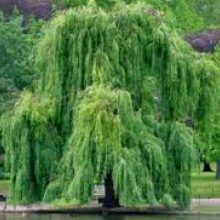 So there you go….now back to figure out why I have Sarah Jessica Parker’s picture in my xanga pictures…I vaguely remember it might have been something about weight??? OK…I’d just hate to see a bunch a guys with security guard mentalities, ie TSA types, thinking they have a right to run around frisking people without cause. @strawberryfieldsgirl – and from me to you and your houseful the same. I think volunteer firefighters are the bomb!!!! Nina – you are just too cute! I think that is an amazing thing for a person to do. I’d never have the guts to do that. Thanks to you Nina and others who serve so selflessly! We have a house full of fire fighters, all volunteer. There are so many laws about training now that it’s amazing anyone does it anymore. i’m sure it’s the same with police dept. It’s a LOT of time, energy and even money that you don’t get back to be able to do it, and all for free. Truly is kind of thankless, except for the personal sense of the pride that you’re doing what you can to help.. so from me to you, thanks for putting yourself out there!